The study, which was published this week in a special vaccination edition of the “Weekly Epidemiological Bulletin” (Bulletin épidémiologique hebdomadaire (BEH)) journal, showed that only 75% of the population believes that vaccinations are a good idea, as reported on French news site 20 Minutes. This appears to suggest that scepticism of vaccinations has risen or is remaining constant, since a similar study from 2016 found that four in 10 were suspicious. This scepticism is still apparent, despite the recent change in the law that will make it compulsory to vaccinate infants with 11 vaccinations from January 1 2018. However, the new study showed that only 2.4% of French people are against any kind of vaccination at all - with a far larger 41.5% saying that they were only suspicious of a few kinds, and not those usually given to young children. 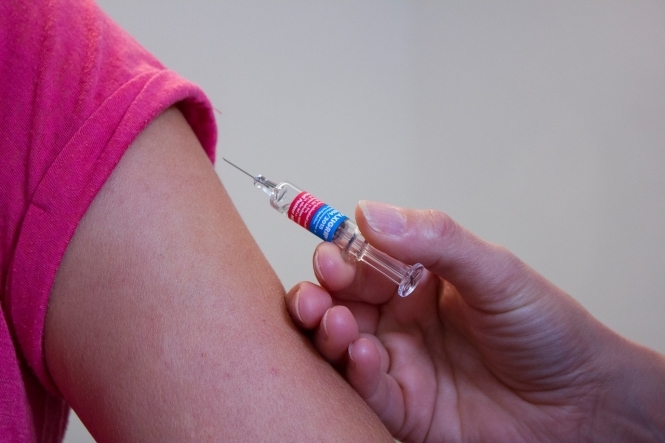 The least popular vaccination was found to be the ‘flu jab (15.4% were reluctant to support this), compared to the Hepatitis B jab (13% against it) and the human papillomavirus (HPV) vaccination (5.8% against). And yet, although few were against the vaccinations required for children, 13% of parents with children aged 15 or under said that they would not vaccinate their children with the standard DTP (combined diphtheria, tetanus and polio) jab if it were not compulsory. Many French people are still suspicious of the DTP jab thanks to the fear of aluminium content; a petition - spearheaded by Professor Henri Joyeux, honorary professor at the Montpellier faculty of medicine - asking for a vaccination formulation without aluminium reached one million signatures. It is feared that introducing aluminium into the bodies of young children through vaccinations can have health risks later on. However, epidemiologist Dr Daniel Levy-Bruhl, manager of vaccinations at Santé Publique France, said that small children were more than able to cope with the levels of aluminium in vaccinations, and reminded parents that immunisation protection is not just for the individual, but for the health of the wider public. A population that is not vaccinated above this threshold does not benefit from this group immunity, which is “inexorably affected”, Levy-Bruhl continued. This is what has happened in recent years with the epidemic of measles (rougeole), which has affected France in the past few years, he said. This is in contrast to DTP, which has effectively disappeared due to 99% of the population receiving that jab, and the soon-to-be-compulsory Haemophilus influenza B vaccination, which has helped extinguish cases of meningitis caused by its bacteria.